You drove big wheels as a kid. You had a moped before you could get your license. You got your first beater the day you got your license. And you've been a gearhead ever since, collection a variety of practical and completely-for-your-enjoyment vehicles. So why would you go out in a boring, old, beat-up Cadillac DTS? While some people are busy planning their funerals on their death beds, we'd be the ones planning which car is going to carry us from church to dirt (well, we'll probably get cremated, but that's a different story). 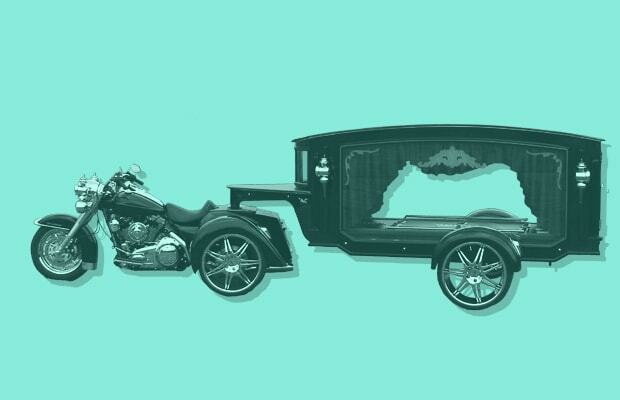 When that time comes, we'll be picking something from one of these 25 Great Hearses for Your Final Ride.